Microsoft’s 25-year-old logo just got a facelift. As of today, customers will begin to see the company’s new trademark throughout Microsoft’s websites and on new TV ads. The new corporate symbol will also gradually appear on products in Microsoft’s retail store, per the company blog. Microsoft’s Jeff Hansen (General Manager, Brand Strategy, Microsoft) told the Seattle Times that the update is meant to “signal the heritage but also signal the future  a newness and freshness.” Indeed, the latest logo design (seen below) includes a splash of color and thinner font type that the previous logos. What do you think of American Airlines New Logo? You already know how we feel about Porter Airlines. We love the style of this Canadian Brand. When other carriers are “phoning it in“, Porter takes service back the good ol’ days when travel itself was an adventure. And it works. They make it fun. They celebrate destinations like Chicago with the right temperament of music and delightful vector animation. 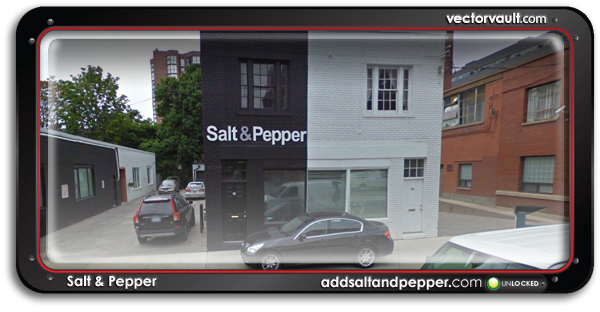 Toronto’s own Salt and Pepper are responsible for this charming spot, with social media touch points and apps to really make it fly. 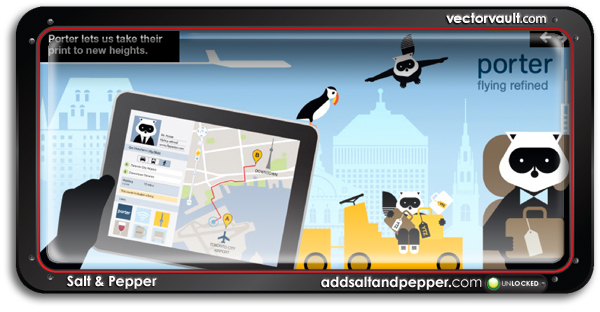 A client referred Porter to us, with our initial assignment to create a single animation showcasing a new flight route. 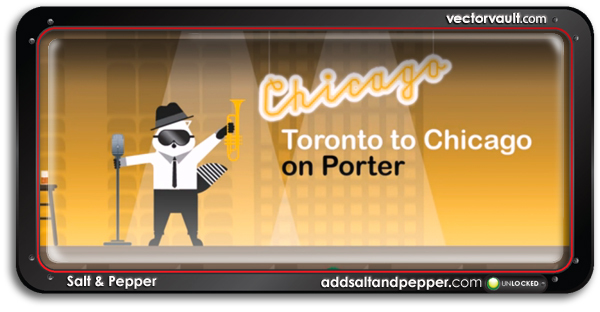 On the success of that piece, we were commissioned to create a series of animations to increase the strength of the Porter brand online, and send audience engagement soaring. Even with all the travel we put Mr. Porter through, he always arrives happy and ready for his next adventure – just like Porter’s passengers. We wrote about Porter back in 2009, and then followed up again in 2011 when Vectorvault Members asked for an update. It’s a David and Goliath story that really gives faith to younger brands. They have successfully competed on service, price and marketing with some tough airlines. The cherry on top is an advertising campaign that consumers actually like and notice. In the North American Travel Market, that is no easy task. The entire brand positioning is so well thought out and tailored to an audience that adores it. They keep it in step with friendly vector illustrations and clear messaging. Someone did their homework. We are at war with the Racoons. “That little racoon is adorable” – There. I said it. Perhaps one day there will be peace among our peoples. Now, I’m biased because our home base is also Toronto. 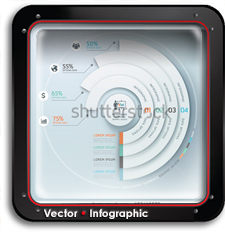 Plus, we’re nuts about vector animation in general. It’s a one two punch. We could not resist. This year, we have seen some incredible work come out of this city. This brand just so happens to be one of our favourites. 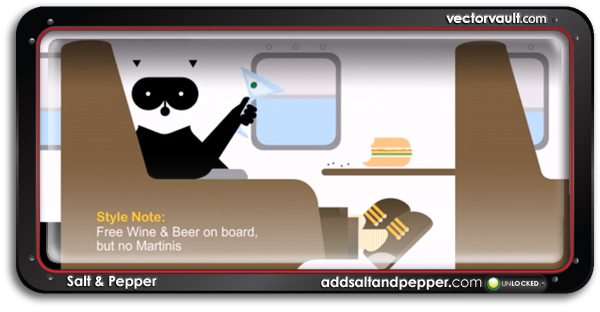 One thing is for certain: We have Salt and Pepper on the Vectorvault Radar. You should too. Great work. Porter flights take off from the heart of Toronto’s business and tourism districts. Billy Bishop Toronto City Airport provides an unrivaled advantage for quick, easy, first class access for pilots and passengers. 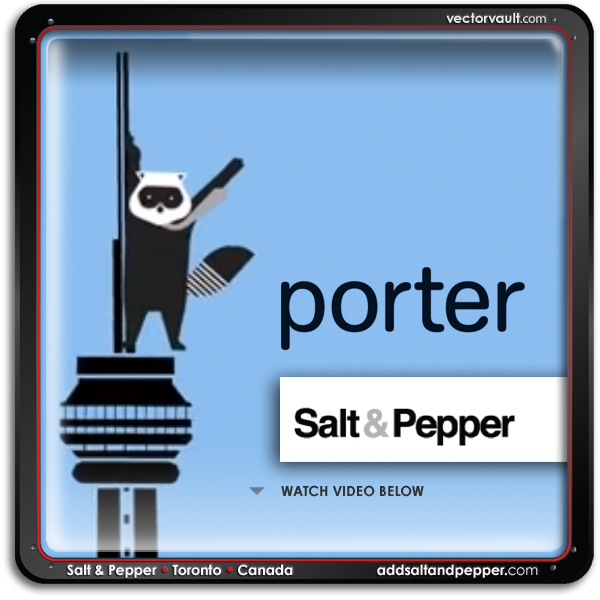 If you are traveling in or out of Toronto, check with Porter first. Unfortunately, traveling in style like this may just spoil you. You have been warned. I stumbled upon this deadly string of posts on the one and only Aqua Velvet I had to share them for inspiration. Its a series of logos from the mid 60’s pulled from Graphis Annuals. 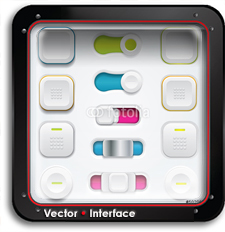 There is no doubt that the computer has taken vector logo design to the next level. But is also fair to say that before the computer, designers relied on geometry, measurement and the heart of an artist. Each image in this post connects to a different series of selections. So just keep bouncing back to look at the next set. Creating a logo used to be about something more than just how it looks on a website or how a particular Pantone will react with a focus group. It was the soul of a brand. Something intended to be embossed in brass not necessarily scattered in a 12 pound Taco of flyers in your mail box. As a vector artist and lover of detail, I find these simple approaches refreshing and inspiring. I think these examples have also caused me to look at my own default approach to branding that I have been brainwashed into. I for one would like to see “simple” take a real comeback in a big way. After riding the train home from school or a day at the studio it’s easy to go into what I lovingly refer to as “Logo overload”. I get it – you’re a brand and you want me to remember you. They are everywhere. We cannot avoid them. But why not dial it back a bit. Romance me with style. I could give a dam if you are 30% more and half the fat. A big thanks to Aqua Velvet for letting us tag along for the ride. Bookmark them and include them in your daily rotation. Great blog.